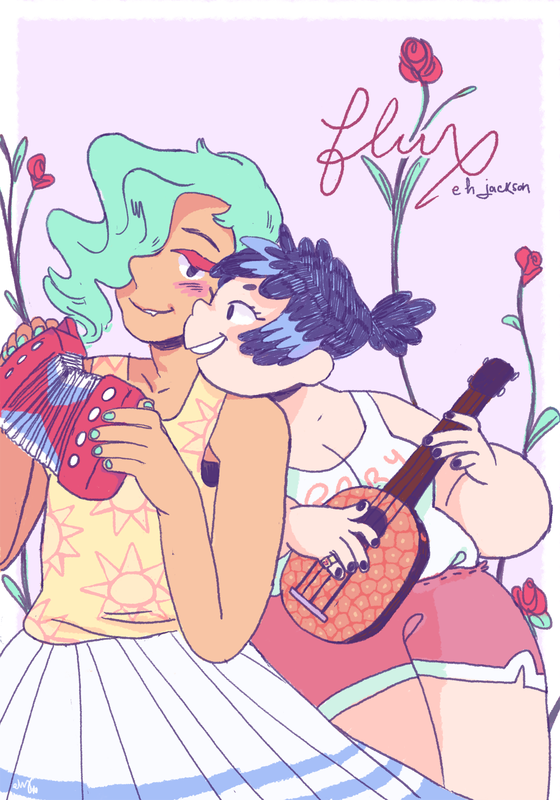 FLUX is a short comic about transition, gender feels, and trying to start a band with your best friend. the first edition is available online for free at flux.eshiel.com - this PDF contains the second edition which I will be selling at RIPE/MICE/CALA. it's been relettered and some minor edits have been made for clarity. it also comes with the new cover illustration, some of the shirt designs I did for philadelphia printworks, thumbnails & the storyboards for the accompanying animation i created, which you can view here! 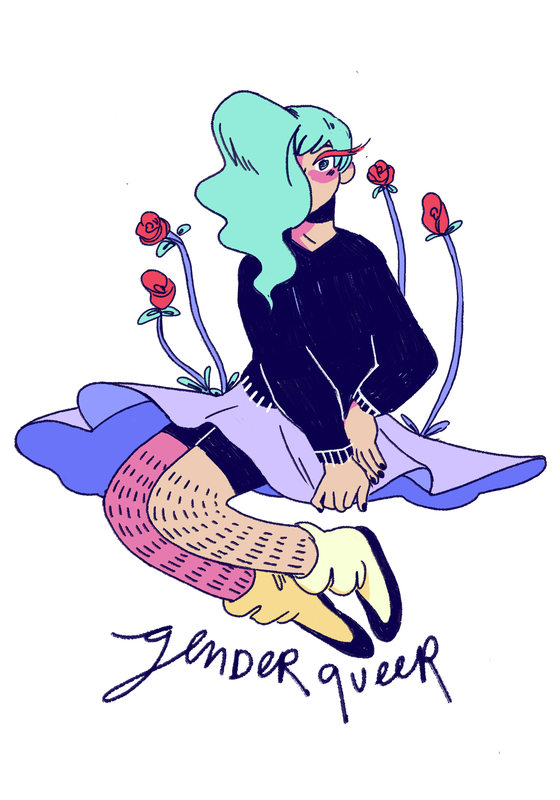 and if you havent yet, check out my patreon as well! 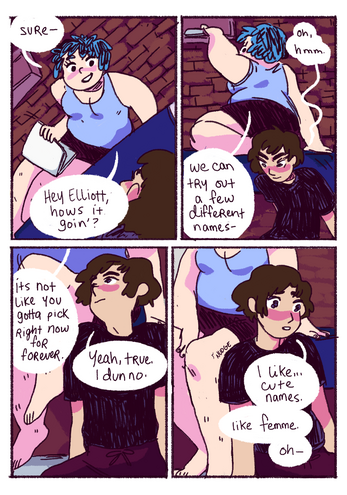 one of my favorite comics always! 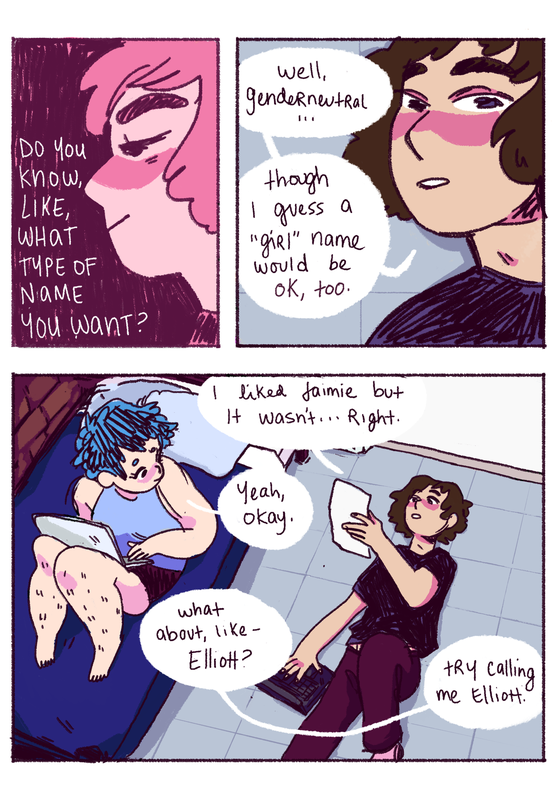 Feels good to read a comic that acknowledges that it can feel scary to have a gender that feels like it's ever changing-- that's something that resonates with me a lot. FLUX is beautiful and was helpful to me. Maybe the first time when I idly though "I would like this" I should have realized some stuff. 💚💚💚💚💚 to you, e.